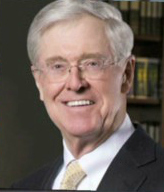 Looking at the decaying nation in which we now live, can anyone say the Kochs have been good for America? Even treasonous. The next target of Charles is the EV industry.